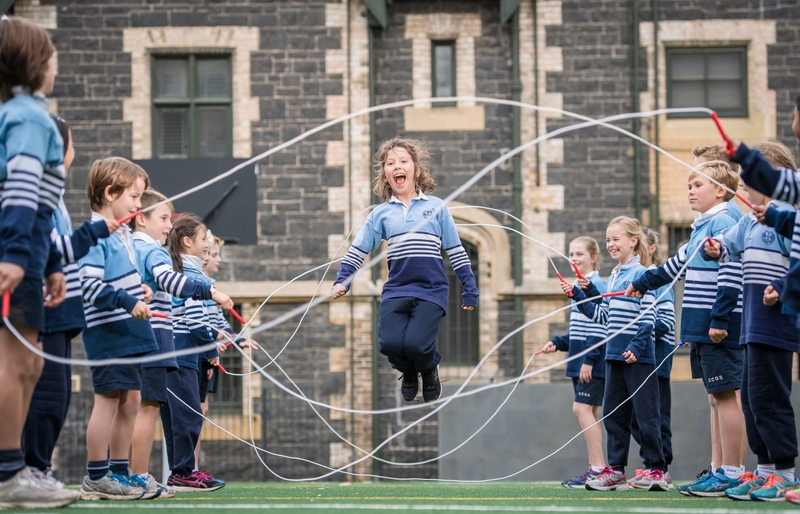 We are thrilled to be one of Australia’s leading fundraisers for the Heart Foundation’s Jump Rope for Heart, which raises money to fight heart disease. In 2017 we were in the event’s top 10 in Australia for fundraising, raising more than $13,000. This year we raised an even more impressive $16,893 and places Christ Church Grammar School as the leading contributor in Victoria and we have a student who is the number two individual fundraiser in Australia. Year 3 student Jasper, aged 9, raised $5,900. There’s a strong family connection for Jasper, with his grandmother suffering from a heart condition. We also have another student in the top 10. Year 4 student Roscoe, aged 10, raised an impressive $1,504. The children in classes learn individual skipping tricks and team skipping skills in the long rope. Last year, we ran the program for Years 2-6 only, but this year have broadened it to Prep to Year 6 and some 300 children have taken part. “Jump Rope for Heart teaches our children that being active is rewarding, fun and encourages them to adopt healthy habits for life,” says Jessica Close, our Head of PE, Sport and Health.